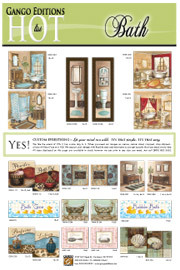 « The Spring 2010 Catalog Supplement is Here! Want to know what is HOT in art publishing? Check out Gango Editions’s new Hot Lists. 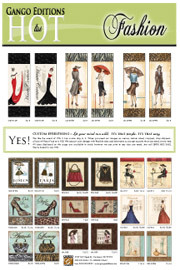 Every list is themed, displaying newly published pieces and other favorites that are sure to dazzle your customers. Download the Fashion and Bath lists now. Visit the Design Lab in the near future for more hot themes!